“A tree doesn’t live forever, but stories are as old as the stars.” So says Maitri, a character in Beneath the Banyan Tree. Lata Pada, the acclaimed choreographer and driving force behind Sampradaya Dance Creations, set out to create a play about a young South Asian girl making the transition from the life she knew in India to the unknowns that awaited in Canada. This was Lata’s first foray into theatre, and Emil was brought in to write the script. He found it to be an energizing experience as he created text that was married to movement, music and dance. 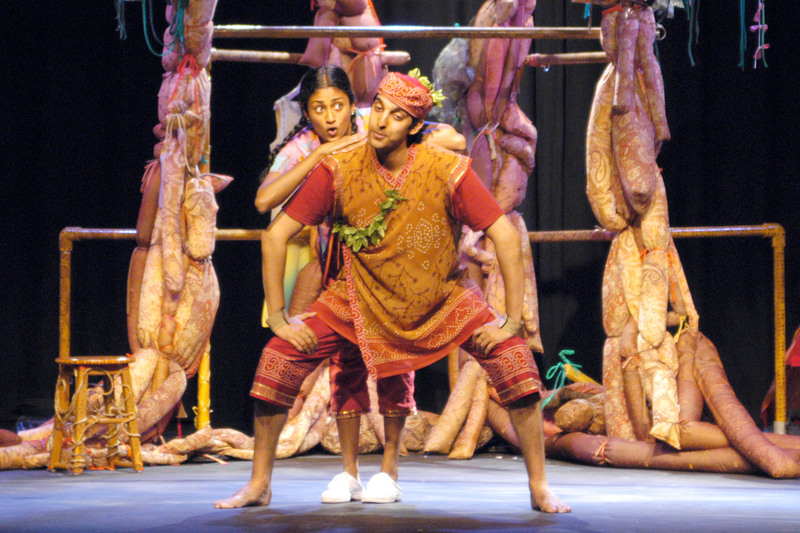 First staged in 2004 and remounted in 2005, both productions of Beneath the Banyan Tree were directed by Lynda Hill, artistic director of Theatre Direct Canada. Add Edgardo Moreno’s music, Lata’s choreography and Cheryl Lalonde’s set to the mix and you end up with a play that has been described as “sumptuous.” In autumn 2009, Theatre Direct Canada partnered with Theatre Hullabaloo, based in Darlington, England, for a national tour of Britain. Beneath the Banyan Tree was remounted by TDC in 2015 in a production that garnered three Dora Mavor Moore Awards for Theatre for Young Audiences: Outstanding Production, Outstanding Direction (Lynda Hill) and Outstanding Ensemble.